A common struggle people find themselves in is having to overcome the fear of public speaking. Everyone has a little bit of anxiety in them; it’s just in our human nature. Some people are born the with ability to get up on a stage and look at a crowd full of people and speak clearly. While others would get up on the stage, feel the intense heat of the spotlight and the eyes watching them, and run directly off stage. For those who are brave enough, they are able to be a part of theater. For those of us who are not so daring, we can watch from the darkened parts of the auditorium. 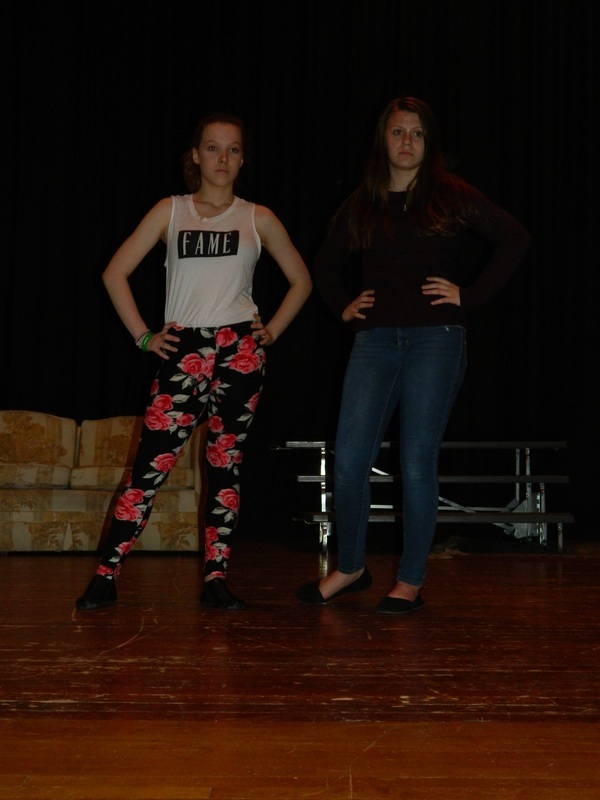 ​Chloe Weithofer has an ensemble part in this year's One Acts, and she has been performing for awhile. She says that when dealing with fears of public speaking, she just thinks to herself, "Cool, I get to run around on stage." Others, like Lauren Beal, say that "I have major stage fright and speaking in front of people isn't the easiest thing for me," but she also said that "it's easier when you can have fun on set." So even some who are terrified of being on stage are brave enough to get out there. 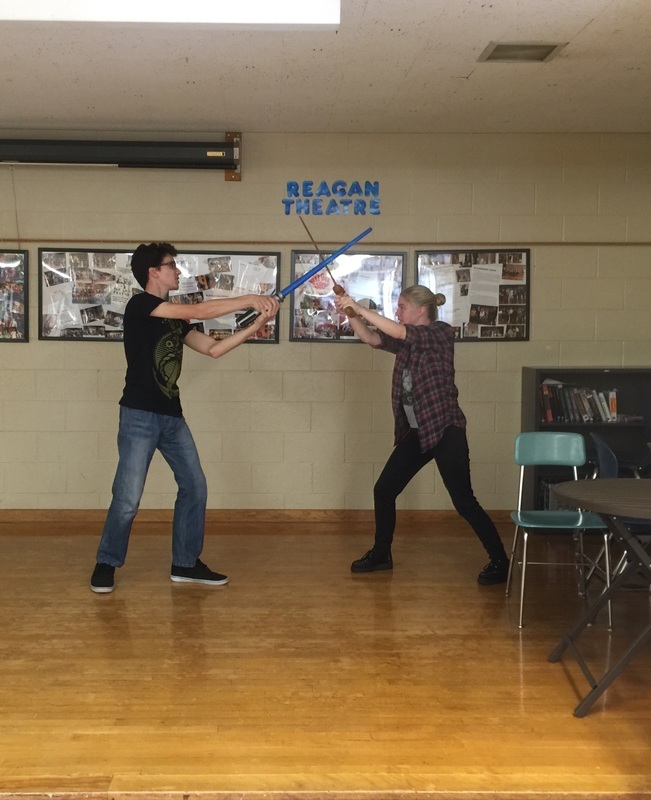 Of the many things that makes Reagan such a unique school, one of them is that we have student-written and produced plays. 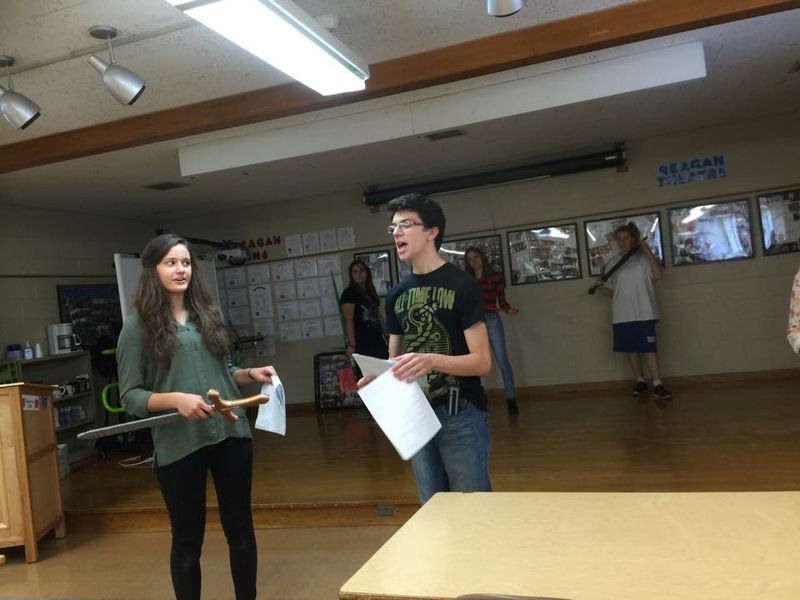 Our school allows the amazing students involved in the theater program to create their own scripts as a part of their final exam for junior year. To prepare for this, students had the Education Director for the Milwaukee Chamber theater come in and give them guidelines for what makes a good script. Then they imagined the scene and really used their creativity. During their senior year, these plays are reviewed, and the best 2-3 (depending on the year) are selected to be produced. These plays are also submitted to the Milwaukee Chamber Theatre's Young Playwrights festival. “War of the Nerds” was chosen as a top ten play of the year. Other Reagan students also made the top ten, including Dominic Spencer and Kristen Leer. In 2011, a Reagan graduate named Matthew Lewis had his play “Stitches” performed in the Playwrights Festival. ​This year there are two plays with very limited roles. This made this year’s casting extremely difficult. Ms. Baker said, “Everyone who comes on the stage has some sort of talent.” It just might not be actually speaking in this production. Each of the two One Acts this year will be produced by teachers. One of this year's plays is “Not an Instant” by Anne Liners and is directed by Mr. Puddicombe. “War of the Nerds” by Gonzalo Nieto is directed by Mr.Onorato. Anne Liners knows that since she isn’t going to be directing her One Act, it won’t be exactly what she imagined. However, she did say, “Each person involved in that play has their own idea and understanding of it, and I can't wait to see what those are.” “Not an Instant” is a conspiracy/thriller with only two main characters, and this show leaves you wondering if the man is trying to keep the woman safe or if he is harming her. ​"War of the Nerds," a piece about Star Wars & Lord of the Rings characters that heard a rumor that their favorite character will be in the same room at Comic Con. There's a battle between characters as they vie for the room for themselves. 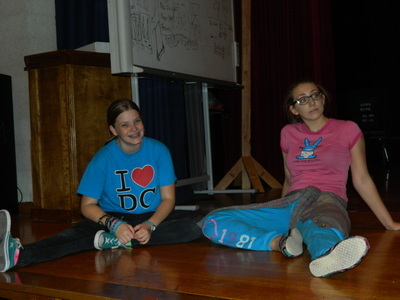 Many students who get involved with the One Acts enjoy doing it throughout their entire high school career. Kyle Radomski, a current junior, has been an active participant in them since freshman year. He gives students who want to get involved the advice, "Next year, or even for the upcoming musical, definitively grab a friend and try out, no matter what you think...The theater community is fun, welcoming, and just wonderful." ​If you don’t think that being directly on a stage and presenting in front of a large audience is right for you, then you could always join forensics. Anne Liners gave a special shout out to forensics, for helping her come out of her shell. Auditions for the musical are going to be taking place Monday, October 26 and run through Friday, October 30. Students who want to audition must attend a pre-audition meeting on Monday, October 19. Do as Mr.Onorato once said, and “Take a chance and get involved”. 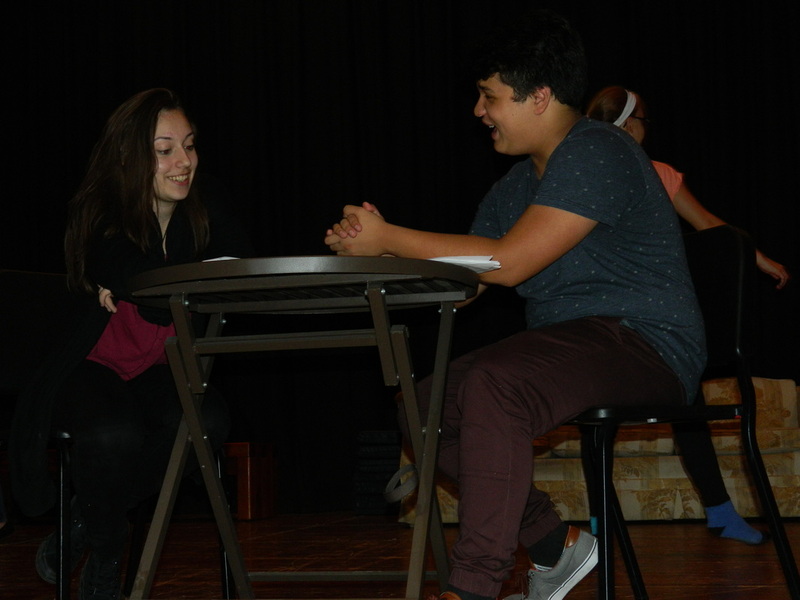 This year's One Acts will take place on Friday, October 23 at 7 p.m., and October 24 at 2 p.m. Admission is $5 for adults and $4 for students at the door. This year the Theater Department is also starting previews. These will take place on Thursday the 22nd, during the regular school day. Any student who is in the Literature and Performance classes or any theater program classes will be eligible to go. Yes, being in the spotlight is the worst! Yes, a little bit... No, I like the spotlight. No, I LIVE for the spotlight! MKE Film festival is an annual event set on bringing new undiscovered cinema to the big screen across Milwaukee. The festival takes place in the independent theaters of Milwaukee. Those theaters include the Oriental, Downer, Fox Bay, Times, and Avalon. ​It begins on September 24 and ends on October 9. ​In those 16 days, they will be presenting over 100 different films. Some obscure documentaries will be shown, like Kim Longinotto’s “Dreamcatcher” and Steven Spielberg’s classic blockbuster “Jaws”. “Great films are the spark of the festival,” said executive director of Milwaukee Film, Jonathan Jackson. Likewise, the films are the most important part of any film festival. Each film was picked from a committee of experts to make sure that they are the highest quality. The films are also separated into a specific category, then they are presented together on their night. “The sense [is] that Milwaukee feels a little different when the festival is here." ​Jonathan said, “The sense [is] that Milwaukee feels a little different when the festival is here”. The festival brings a lot to Milwaukee, but most importantly it presents films that you wouldn’t find in a traditional movie theater. Avant-Garde films are experimental and artistic movies that aren’t usually in the limelight. Film festivals like MKE Film are opportunities for those films to be watched by an audience. “We bring the best films of the year to Milwaukee for celebration of community and leave the films as a way to engage with as wide and as diverse of an audience as possible”. And to bring this mission to life, the team at MKE Film do a tremendous amount of work to put on the festival. “It's a labor of love. People work very long hours!” exclaimed Jonathan. Jonathan’s favorite film is “Eden”, a fiction film that is in the Sound & Vision program of the festival . It is a French film, that chronicles the life of a club DJ, focusing on the French electronic music scene that brought artists like Daft Punk to the spotlight. The film is “beautifully photographed and extremely well acted, ”said Jonathan. ​Battle of the Drumlines is a very important event, but one might ask what Battle of the Drumlines is? It’s an event/competition between various teams of drummers from different MPS high schools. It is a competition based on how well the school’s drumline plays, and it’s judged on a variety of musical aspects. The teams have been practicing since September 10. In order to join Reagan’s Battle of the Drumlines’ team, participants needed to audition. Only ten people are in Reagan’s Battle of the Drumlines team; those ten people each play a different part in the drumline. 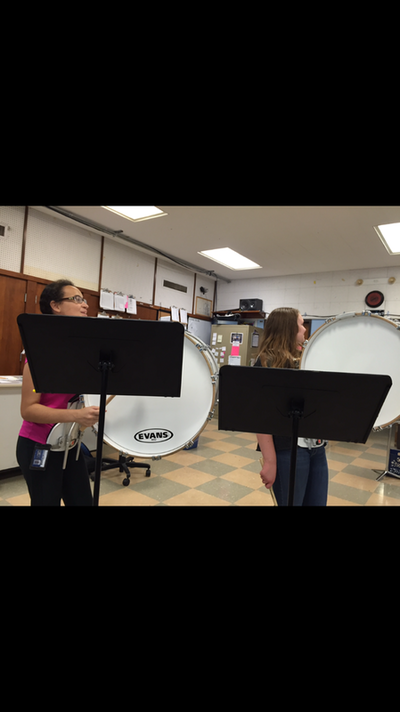 The two people who play snare in drumline are Rosie Wroblewski and Jacob Dubey. The two people who play tenor are Simon Kronschnabel and William Gaines. There are four people who play base. Base One is Kaitlyn Rian and Base Two is Lauren Barta. Base Three is Jozlyn Brooks, and Base Four is Trevor Witzel. 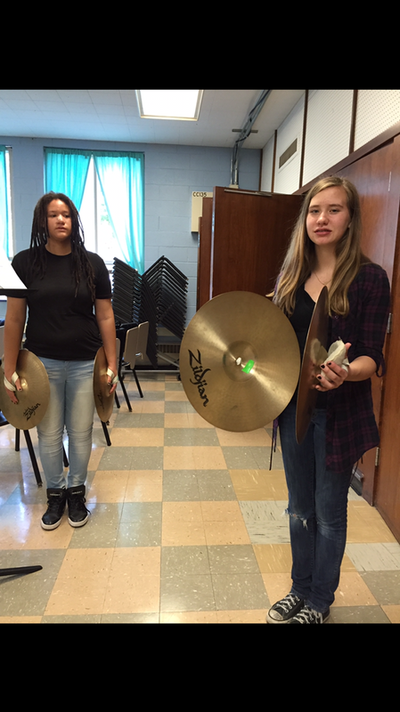 Finally the last two people who play Cymbols are Cymbol One, who is Abigail Clark, and Cymbol Two, who is Fenja Nankwanga. Their practices run from 3 p.m. to 4 p.m. every Thursday. For each practice they have been doing warm-up exercises. This competition takes a lot of preparing - the drumline will be practicing for three months, September to December. 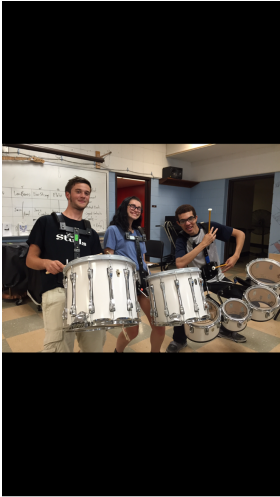 There are three people who lead drumline, and they are Mr. Murphy, Nick Lang and Mr. Johnson. Mr. Johnson has been doing Battle of the Drumline for nine years. ​If you would like to support the Reagan drumline, put on your calendar to go down to Rufus King on Saturday, December 5 at 12 p.m. The admission fee is $5. ​Can Reagan make history for the first time in the Battle of the Drumlines? Find out at December 5’s competition! "We need somebody that literally will take this country and make it great again. We can do that. So ladies and gentlemen, I am officially running for president of the United States," said Donald Trump on June 1, 2015. ​As of now, Donald Trump is the leading Republican candidate for the presidential election that will be held in November of 2016. Despite his success in the business world and his candidacy, Trump has given himself quite a challenge in getting the minority vote. Trump has, without a doubt, offended many people with his racial comments. “When Mexico sends its people, they’re not sending the best,” said Trump during his presidential announcement speech, June 16, 2015. “They’re sending people that have lots of problems and they’re bringing those problems. They’re bringing drugs, they’re bringing crime,” he continued. Trump stated that half of the undocumented immigrants in America are criminals. Immigration is one of Trump’s main focuses in his presidential candidacy. He stated back in 2015 that he plans to build a wall on the Mexican border, and will make the Mexicans pay for it. Though Trump has said himself that he has a “good relationship with the blacks” back in 2011 on a talk-radio show called “Albany’s Talk”, he has been getting himself into trouble with the majority of African Americans as well. According to a poll done by the Quinnipiac University shortly after Trump announced his candidacy, African Americans were asked to share their opinion on that subject matter. 92% of voters said that Donald Trump does not care about the needs and problems they have and experience. 79% of Africans American voters say that they have an unfavorable view of Trump. 73% say that Trump is not trustworthy. 53% said that Trump does not have strong leadership skills. ​They were also asked if the final candidates were Hillary Clinton and Donald Trump, which would you vote for? 3% would vote for Trump. "Black guys counting my money! I hate it. The only kind of people I want counting my money are little short guys that wear yarmulkes every day,” Trump said, according to one of his former colleagues. Trump agreed that what he said was “probably true,” to USA Today on May 20, 1991. “Everybody feels I’m doing this just to have fun or because it’s good for the brand. Well, it’s not fun. I’m not doing this for enjoyment,” Trump said to the Washington Post. Ironically, his candidacy has not helped, but made the Donald Trump brand less successful. On August 25, in Iowa, Jorge Ramos, the news anchor for Univision, experienced behavior that was “out of line” with Trump. Trump refused to answer questions on immigration. The next day on the Today show, August 26, Trump claimed that Ramos “started ranting and raving like a madman and frankly, he was out of line… most newspapers said I handled it very well.” In fact, Trump’s comments have caused him to lose ties with many large companies including Univision, NBC, Televisa, Ora TV, Macy’s, and more. To everyone’s surprise, thirteen year old Molly Bergman, wrote a song about Trump embarrassing the nation, called “Dear Mr. Trump”. Within the one and a half minute song, she sings things like, "you're a bit of a disgrace, time to pull out of the race,” or "please apologize to women." The music video can be viewed on https://www.youtube.com/watch?v=wbbXBdKmRcM. Trump supporter, Mary Ann Mendoza has different opinions about Donald Trump. Mary Ann Mendoza’s son was killed in a car accident caused by an illegal immigrant who was under the influence. "For the life of me, I cannot see how any American can't see it is wrong to allow illegals back on the streets with no punishment for crimes they commit,” Mary Ann Mendoza wrote. "The fact that he has broached the subject is more than anyone has ever done,” she continued. ​Though the majority of Latino/Hispanics do not support Donald Trump, Raul Rodriguez, feels differently. Rodriquez participated in a pro-Trump rally before the Library Debate on Sept. 16. He held up a sign that read, ‘LEGAL NOT ILLEGAL’. "I hadn't realized how severe the situation was with illegal immigrants. That's when my views changed, and I took action,” Rodriquez said (The Washington Post, 2015). Donald Trump has received many mixed reactions. “Part of being a winner is knowing when enough is enough. Sometimes you have to give up the fight and walk away, and move on to something that's more productive,” he said, which can mean many different things to many different people. Totally! It's possible. It's a slim chance. No. way. possible. Homecoming is one of the biggest deals when it comes to high school events. Whether it is the high school game or the dance, word is always going rampant, and at Reagan IB High School, that’s exactly going on. Homecoming is as big a deal as life when people talk about it. All the girls are talking about their dates, how their hair is going to look, what dresses they're going to wear, and countless other things. The boys are usually talking about the big homecoming game. So as you can see, homecoming is a major event. After details were discussed at the homecoming meeting for student council, there are a number of details worth mentioning that would benefit readers. After a vigorous discussion and voting, the conclusion was that the theme of the dance is going to be themed “Huskies in Paris”, making the theme of “Alice and wonderland” come in second place. The winning theme was created by Jesse Logo and Alondra Terry. Approximately 450 tickets will be available at around $10 a piece to attend the dance on Saturday, October 17. Since there are around 1,200 students attending Reagan, students will have to get their tickets right away if they are planning on attending the dance. ​Dinner will not be available but those attending will be able to purchase a small variety of snacks throughout the dance. As the council was discussing plans, they thought it would be cool to have fake paparazzi taking photos of those entering the dance that would probably be available to purchase afterwards. - have a great time. 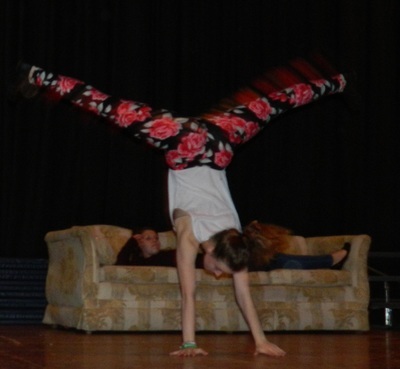 The dance is on October 17 from 7 p.m. to 10 p.m. in the school gym. The big homecoming game is also a momentous occasion for Reagan High School. Usually the homecoming game is soccer, but this year it will consist of the first ever all-Reagan football team homecoming game. So let’s hope for a victory for our Husky football team in addition to the homecoming soccer game. The soccer game will take place on Thursday, October 15, from 7 p.m. to 8:30 p.m. at South Stadium. The address for South Stadium is 971 W Windlake Avenue. The football game will take place on Friday, October 16 at Pulaski Stadium at 6 p.m. Pulaski Stadium is located at 2500 W. Oklahoma Avenue. 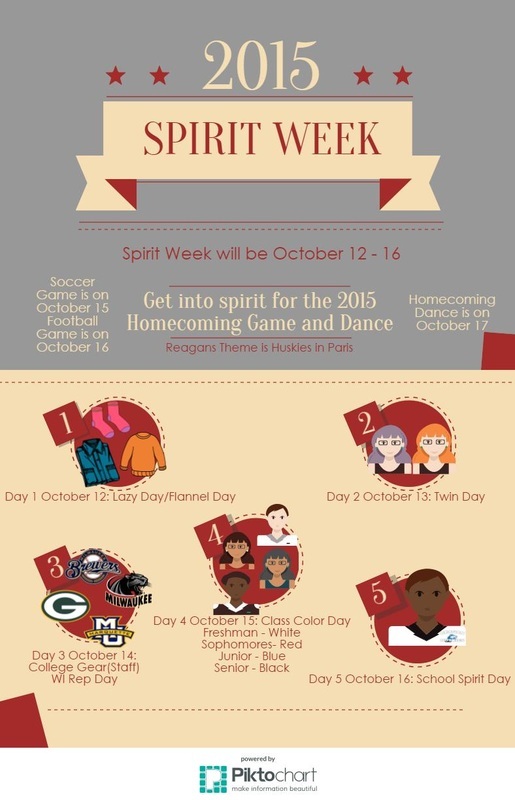 Be ready to cheer on the Huskies at both of the big homecoming games! “Paranormal Activity”, “Insidious”, “Saw”, these multi-million dollar movie franchises are the defining films of the contemporary horror genre. Currently, with CGI and special effects masters, directors are able to create any monster or horrible creature we can imagine. However, it wasn’t always like that. It was the wild thinking from a group of German silent directors in the 1920s that first brought horror to the screen. In post-WW1 Germany, the fresh medium of film was growing and the artists that weren’t capable of making the works they wanted were now fully capable. Thus came filmmakers like Robert Wiene, Paul Wegener, and F.W. Murnau who defined in the film movement known as German Expressionism. Wiene made “Cabinet of Dr.Caligari”, Wegener made “The Golem”, and F.W. Murnau made “Nosferatu”. Those three films would become three of the first horror films ever made. Nearly 100 years later, these films aren’t very unnerving, but they can show us how imaginative the original horror directors were. With the advent of sound in the 1930s, more and more directors were turning famous horror stories into full feature films. The 1930s brought us classic horror flicks like “Dracula”, “Frankenstein”, and “King Kong”. However, more significant of this decade was the rising popularity of cinema itself. People began visiting movie theaters on a weekly basis, which gave way for more horror artists to come. However, for the next few decades. nothing would really advance. More horror movies were made, but effects were still mediocre and not many people were phased by them. That was until the 1960s, when Alfred Hitchcock would jump onto the scene. His films weren’t the typical horror films with monsters and murder, but with suspenseful sequences and frightening music. His most popular film “Psycho” would become one of the greatest horror films of all time. The whole common theme of “psychopath chasing victims” was popularized by Alfred Hitchcock. The 1960s would only be a gateway to the blockbusters that the 1970s would bring to horror. Rather than the “jump scare” horror of the 1960s, the 1970s focused on psychological horror mixed with the suspenseful sequences like Hitchcock’s films.”The Omen” and “The Exorcist” scared audiences with their religious tropes. 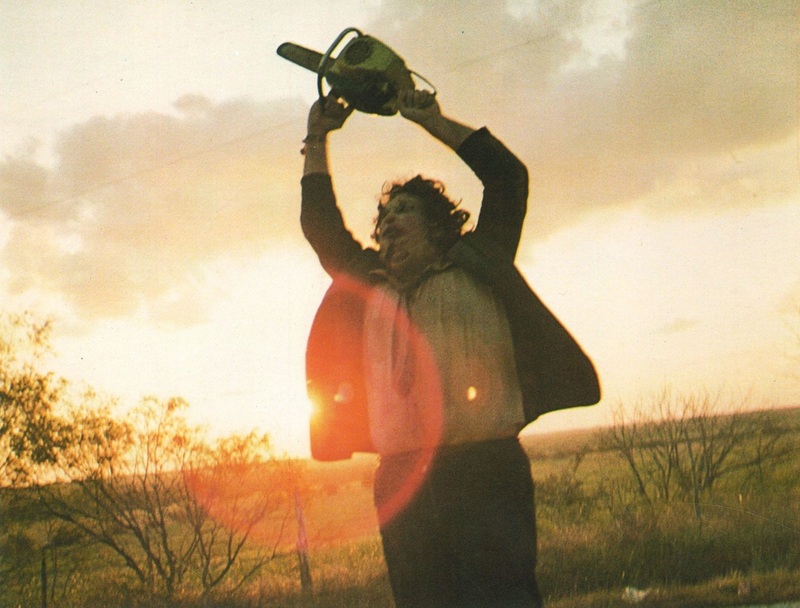 “Texas Chainsaw Massacre” and “Halloween” showed the suspenseful horror of escaping from psychopaths. And blockbuster horror films like “Jaws” and “Alien” startled audiences all across the world. The 1970s was the shining peak for all horror movies. ​Since then, great horror films have come and gone. “The Shining”, “Nightmare on Elm Street”, and “Blair Witch Project” all showed the world how good the horror genre can be when it is used originally and creatively. However, with the popularity of the horror genre, came an influx of mediocre horror movies that made us cringe rather than jump. Contemporary horror films are not as popular as they used to be, but they are still very well crafted. Even on television, with programs like “American Horror Story” or “The Walking Dead”, which shows how frightening horror can be. With all the ups and downs of the horror genre, the sure fact is that as long as we love to be scared, good horror films will come. Yes - I watch them all of the time! Sort of - they're alright. Not much - I prefer other genres. No - too spooky! According to a U.S. Census Bureau report published in December 2014, about 57% of children ages 6-17 participate in an after school extracurricular activity in America. Are you part of the 57%? Many people know what extracurricular activities are, but not everyone participates in them. By definition, an extracurricular is an activity, “pursued in addition to the normal course of study.” No matter what school someone attends, they can find extracurriculars everywhere they look. If a student is constantly doodling in class, there are clubs for art. If someone is interested in athletics, they can participate in sports offered at school. There are even clubs for cooking! The possibilities are endless, and there are activities that cater to each individual’s interests. What is the point of participating in extracurricular activities? Extracurriculars are very beneficial in many ways. These extra activities teach one to be well balanced, and introduce new skills depending on what they are involved in. Juggling extracurriculars and education help students improve their time management and to learn to prioritize their tasks. By joining extracurriculars, it is easier to make new friends because fellow students with similar interests are there. ​"Do you care deeply about anything—intellectual? Extracurricular? Personal?" As well as the previous benefits, colleges will appreciate that one has participated in extracurriculars when students apply. "Do you care deeply about anything—intellectual? Extracurricular? Personal?" "In terms of extracurricular, athletic, community, or family commitments, have you taken full advantage of opportunities?" "What is the quality of your activities? Do you appear to have a genuine commitment or leadership role?" This just goes to show colleges' genuine belief in importance of participation in extracurriculars. There is a better chance of getting into a college if a student joins a couple activities a year! It is not too late to sign up for extracurriculars! Do not be discouraged if clubs are already running. Here at Reagan, there are still groups that are accepting new members, such as the newspaper! Evidence checks. Donut parties. Supervisors. Topics. ATLs. Global Contexts. It’s all us sophomores are hearing about these days. Personal Project central, right? But, what’s the point of all of it? Why does any of it matter? Why should students be motivated and excited for something like the Personal Project and ELO competitions? What’s the holistic point of the project itself? One of our members of the Husky Howler, Eva Szocik, interviewed Ms. Wilkening and got these questions and more answered in great detail. #1: Why should we be motivated? According to Ms. Wilkening, the Personal Project is one of the rare opportunities where students can explore a topic that’s completely based on personal interest! Whatever students’ interests may be the Personal Project is a chance to prioritize learning about something of choice! For example- learning how to play an instrument or learning more about the upcoming presidential election! There are truly infinite topic options! With guidance from supervisors and participation in Personal Project Fridays, students will have the chance to grow in understanding of topics and personal strengths and areas needing improvement. #2: What's the point of having evidence check competitions with ELOs, and why should students care about them? The Personal Project is long. It spans across the majority of the school year of sophomores. Ms Wilkening states that the purpose of the evidence checks is to make sure we are staying on track to meet our goals. It’s a very good chance for students and supervisors to make sure their staying on track, and make any improvements that are necessary. But, why make it a competition with other ELOs? Well, the hard work of students should be acknowledged and praised! #3: What is the holistic point of the personal project? What should students hope to gain from it? 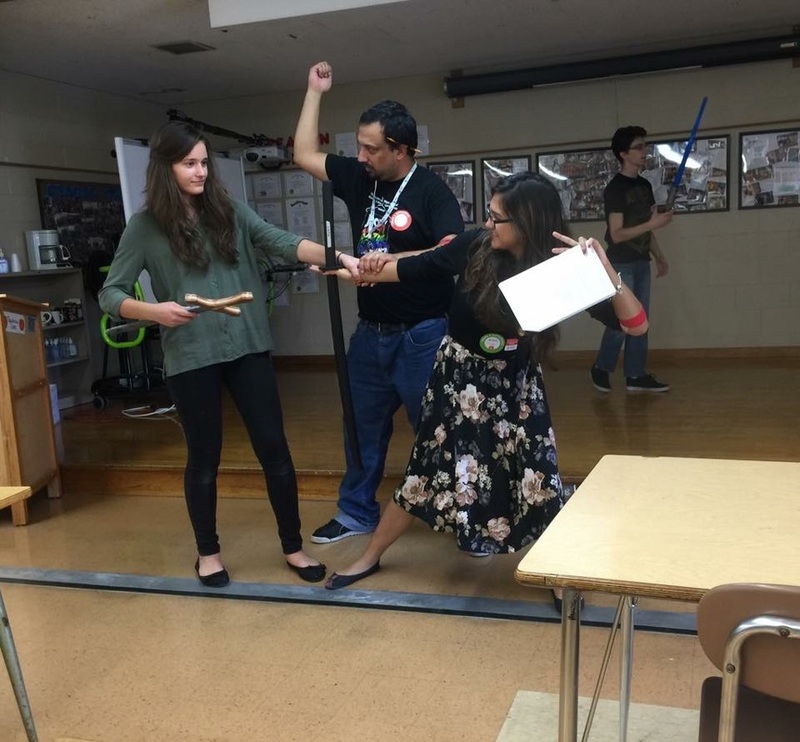 ​Ms Wilkening said, “The overall point of the Personal Project is to apply the stages of the Design Cycle (Investigating, Planning, Taking Action, & Reflection) to a topic based upon an area of personal interest. Over the course of life, we are all going to be faced with challenges. For example, your boss at work creates a product and he wants YOU to create a plan to promote it. This situation will without a doubt require certain skill sets that we will practice this year as part of the Personal Project. Skills such as time management, effective communication, goal setting, researching and much much more will be needed! All in all, the experience sophomores will get over the course of the Personal Project will definitely help with future issues and challenges down the road in life! Technology is always changing. Years ago, the famous scientist Heinrich Hertz managed to prove that you can transmit signals wirelessly through electromagnetic waves. The invention of headphones were born, and they used to be these huge objects we put over our ears and couldn’t even fit in a pocket. Now they are so small that they fit in the palm of our hands. They have become more powerful. However, with great power, comes greater danger. Earbuds are now able to go inside your ear canal, so now the sound is more powerful and dangerous. As they stay in your ears, you become prone to losing your hearing. The device you use for listening to music might make you never hear anything ever again. According to a study by the Journal of American Medicine, they said that 19.5% of teenagers suffer hearing loss. Hearing loss is caused by the death of the hairs in the ears because the sound emitted is so strong. 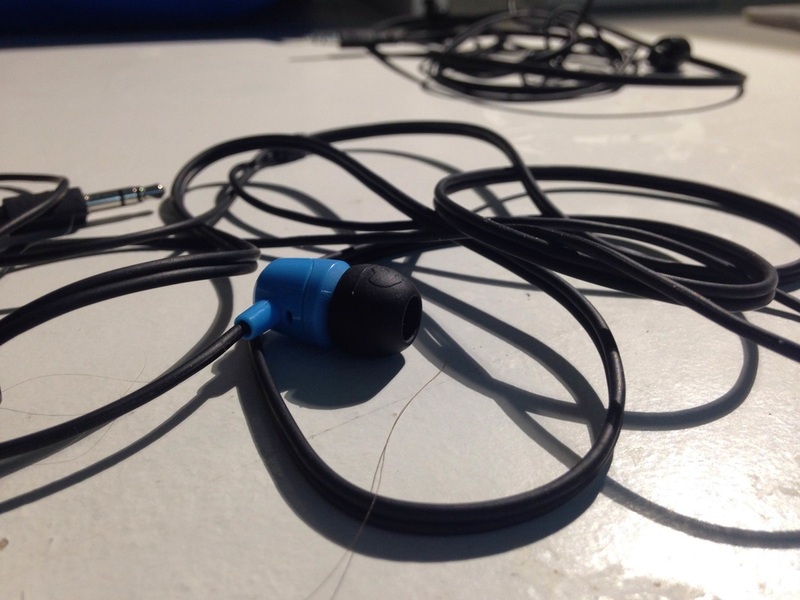 ​Now, you don’t have to stop using your earbuds to listen to music. You can still use them safely by keeping your volume low, or by using the 60/60 rule. This rule is designed to help you measure the amount of time you use the earbuds and how strong the sound emitted from them is. All the rule entails is that you have to listen at 60% of the full volume for 60 minutes. That rule will help you control the earbuds’ volume. The technology we use every day might be hurting us a lot. However, we can’t forget that this technology also helps us learn and connect with friends. Safety precautions with electronic devices do not hurt, but the consequences of misuse really hertz. Technology should not be avoided, instead it should be used in safe moderation. Citation: Health and Technology. (n.d.). Retrieved September 5, 2015. As a new student to Reagan, I was very surprised to see how diverse it really is. I have always been a part of a small, close knit school that never discussed the growing topics of the rapidly changing world. The Gay Straight Alliance is definitely an example of the diversity that I hadn’t previously seen. So, I began my research. I talked to Reagan's GSA leader, Mr. Moriarity, and according to him, there are not presently any pressing events happening. Although, he did mention that every last Friday of every month the GSA hosts a movie night, which is open to all. And, as usual, the GSA meets every first Wednesday of every month "to discuss any topics" that may come about. Overall, the GSA at Reagan is a great opportunity for people to be involved in. Stay tuned throughout the year to see any event opportunities and mentions of the Reagan Gay Straight Alliance. Creative writing can be associated with any type of writing whether it’s journalism, literature, poetry, or even fan fiction. 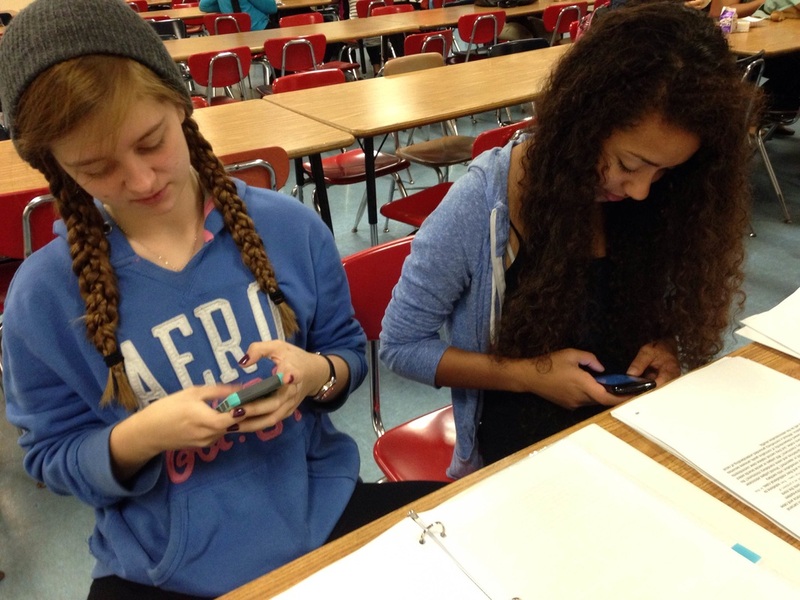 Here at Reagan we have our very own creative writing club, specifically for writers of any kind. If you want to give writing a try, or if you’re a writer looking for a club with fellow writers at Reagan, then the creative writing club is the right club for you! Not only is the creative writing club an extracurricular for writers, but they also write based on art and song lyrics. Mr Kuehl, the club’s supervisor, mentioned, “We kind of mix it up a little bit listen to song lyrics… and write something based off that," So, if you’re interested in sharing your musical pieces, again, this the club for you! ​This club doesn’t solely focus on one part of writing, but different genres, writing structures, and styles. The club’s most popular genre is poetry, especially free verse, which gives the members a chance to express what they choose. “Because we... have the same interest we’re willing to take each other’s feedback and not look at in a negative way,”said Kuehl. Mr. Kuehl describes the participants as a “tight knit group,” so everyone knows everyone and it gives you that sense of comfortability to share, to express your ideas, and to get feedback on your writing. The creative writing club is currently a small group, but they plan on expanding their group in quantity and different kinds of creativity. The good thing about the creative writing club is that it’s not a mandatory extracurricular. You don’t have to attend every meeting or an entire meeting. If you have extra time to attend before or after another club, you can check out one of the meetings held by the creative writing club on Wednesdays in room 208. Historic Milwaukee’s fifth annual Doors Open Milwaukee event was held on Sept. 19 and 20 from 10 a.m. to 5 p.m. This year, there were 53 new buildings to explore, in addition to buildings on display in previous years. ​“Doors Open Milwaukee is Milwaukee's biggest open house weekend..."
“Doors Open Milwaukee is Milwaukee's biggest open house weekend. The general public gets to explore over 175 locations around Milwaukee free of charge,” said Ms. Amy Grau, the Program Manager for Historic Milwaukee Inc. Amy says that Doors Open Milwaukee’s main purpose is to give the general public an opportunity to explore Milwaukee from the inside out. “So many children and families come to explore the city during Doors Open Milwaukee, and instead of driving by downtown on the freeway, and shouting out ‘There's downtown!’, being able to go inside the buildings and give them individual importance and significance. The next time they drive by, after the event, we hope they shout out, ‘There's the US Bank Center! And the Federal Courthouse! And City Hall!’ It's a hands-on sort of learning that really doesn't happen in this capacity at any other time of the year,” Amy said. She says that it's important to learn about our city and how each part of our built environment makes up the collective whole of the wonderful city we call Milwaukee. “Historic Milwaukee, Inc. presents it every year, and the event wouldn't go on without our over 800+ volunteers,” continued Amy. To become a volunteer, you must participate in a one hour orientation to prepare for the event. Each volunteer works during their four-hour shift. Door Open Milwaukee, or other Historic Milwaukee Inc. events, would be a great way for the Reagan upperclassmen to use their Creativity, Service, and Action (CAS) hours. To volunteer for upcoming events or Doors Open Milwaukee 2016, visit www.doorsopenmilwaukee.org/volunteer/ . ​"doors Open presents an opportunity to peek inside and satisfy your curiosity about notable locations."